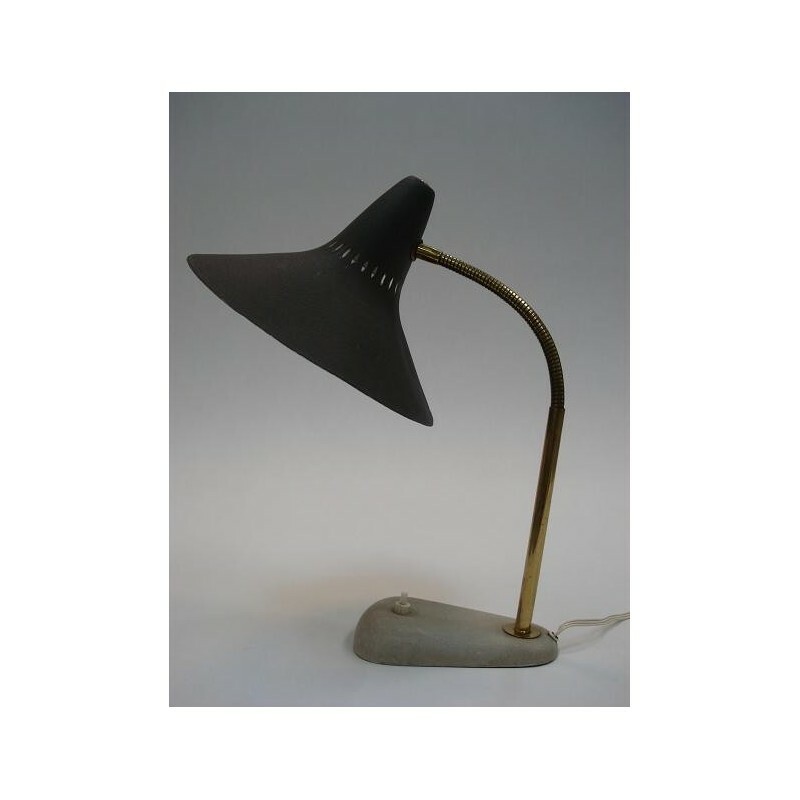 Vintage table- or desklamp from the fifties. 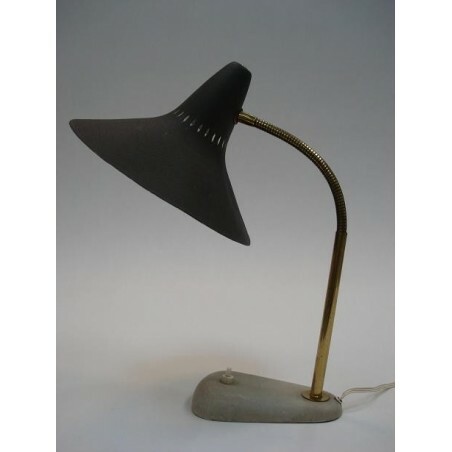 The lamp has a grey/black colored cap a flexible rod and the feet is creme colored. The lamp is in a good, vintage condition, there is a small dent in the cap.The dimension is +/- 46 cm H and the cap is 24,5 cm wide.